We've been in full-on-holiday-production-mode since August---and while I've spent quite a bit of time in my sketchbook, I haven't made time to sit in front of my computer and actually scan these drawings in. Hope to remedy that over the next few days...God willing. This is a very tiny portion of the loot the #twinterns gathered this Halloween. 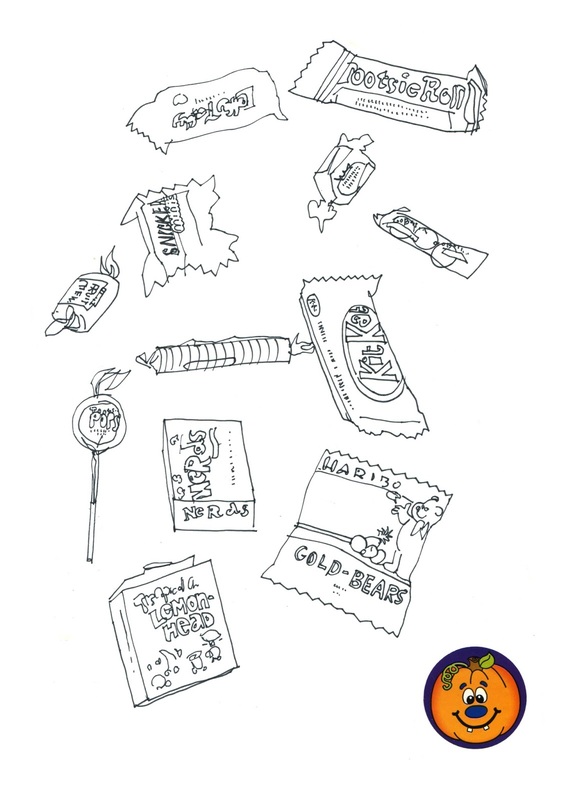 Each of us has laid claim to our favorite candies: Miles, Nerds; Max, Skittles; Papi, Snickers; Mama, Reese's Cups. Lucky for me I live in a household where no one else has an affinity for peanut butter. Personally, I believe that sugar is very dangerous to the body health. And Paperrater.com review also agrees with my opinion and provides further information on its damages.